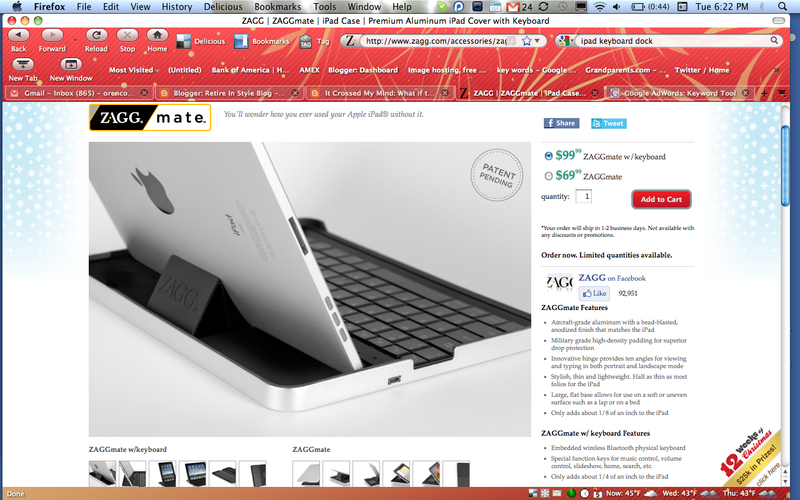 Just a heads up...there is a keypad dock for your Apple ipad user...it is too cool. My son will begin on a masters program through Phoenix after the first of the year. He will need to have a word program to prepare the work he needs. We bought him an ipad dock with a keyboard that will allow him to use the ipad for the documents, sent them to a windows computer, copy into his work and go on with his program. It might save a new computer purchase!